Outdoor Front service LED display module is designed for installation where there is limited space behind the led display. The module has buckle behind, and water-proof rubber rings around the module to make it water-proof. 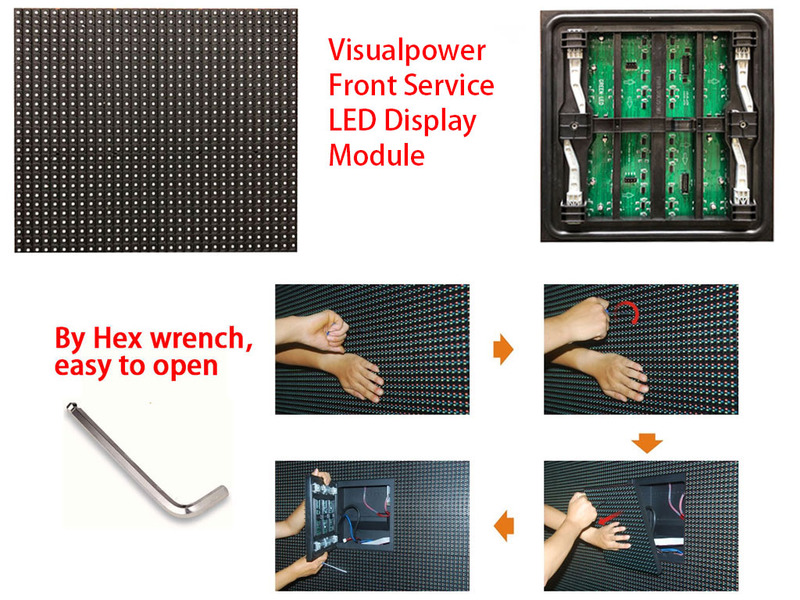 By a simple hex wrench, the modules can be opened from the front side and easy to do repair. Power supplies and the controllers can also be taken out from the front side to do repairs. To fix the cabinets on the wall, simply open the modules at the four corners of the cabinets, and use bolts through the cabinets and fix the cabinets on the wall frame. This design is also useful to make double sides front service led displays. Compared to the front open type cabinet, this design can make any display size led displays.